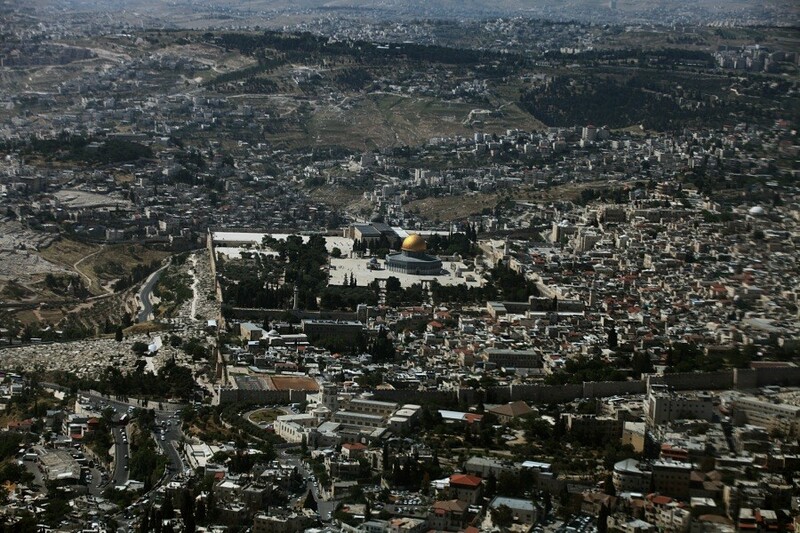 An aerial view of the Old City of Jerusalem, with the Al-Aqsa Mosque at the center, on Jan. 24, 2010. President Donald Trump told Israeli and Arab leaders on Tuesday, Dec. 5, 2017, that he plans to recognize Jerusalem as the capital of Israel, a symbolically fraught move that would upend decades of American policy and upset efforts to broker peace between Israel and the Palestinians. WASHINGTON — President Donald Trump on Wednesday formally recognized Jerusalem as the capital of Israel, reversing nearly seven decades of U.S. foreign policy and setting in motion a plan to move the U.S. Embassy from Tel Aviv to the fiercely contested Holy City. “It would be folly to assume that repeating the exact same formula would now produce a different or better result,” Trump declared. Though he did not mention it, Trump signed the same national security waiver signed by his predecessors, from Barack Obama to George W. Bush to Bill Clinton, which will allow the administration to keep the embassy in Tel Aviv for an additional six months. White House officials said that was unavoidable because it would take several years to move the embassy staff to a new facility in Jerusalem.